Another detour from silent cinema. I can’t completely control what Zip.ca sends me through the mail... but at least it sends me good stuff. Some spoilers follow. Would you be afraid of Gort? I’d be afraid. What’s not to fear from a malleable metal juggernaut from another world, with the strength of a tank and a death-ray built into his head? When Gort’s visor rises, he can direct the ray so precisely that it can disintegrate a soldier’s rifle and leave the soldier unharmed. But if Gort wishes, that ray can do the same to any human being, reducing him or her to bubbling slurry on the grass. Gort demonstrates his power repeatedly in The Day the Earth Stood Still—enough that we get the point. The humans he faces get it, too; and they couldn’t otherwise, because to look at Gort is not to be intimidated. He’s big, but soft-looking. He lumbers oafishly down the ramp of his flying saucer. His body resembles a silver spacesuit, topped with an oversized golfball of a head. Gort has no straight edges or points—nothing that cues a sense of menace in us. 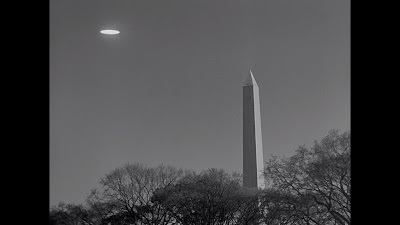 Moreover, we’re led to believe that, for all his destructive power, he’s simply a non-sentient tool, to be deployed and restrained by the sure hand of Klaatu (Michael Rennie), the wise, human-like pilot of the saucer that has landed in Washington D.C. in 1951. If we fear Gort, at least we know he (it?) is wielded by a learned, contemplative being. Unfortunately, none of this is true—not completely, anyway—and the results are a triumph for nihilist filmmaking. Rennie plays Klaatu with all the upright dignity of a being who takes his work seriously, but has no regard for the planet he’s been called upon to help. He’s polite, but smug. We forgive him, because he’s committed to ending our many conflicts, which he terms ‘childish jealousies and suspicions.’ Indeed, the blunders of humanity are on display: Klaatu is variously suspected of Communism, stifled by cloddish bureaucracy and vilified by a histrionic press. He’s even shot. 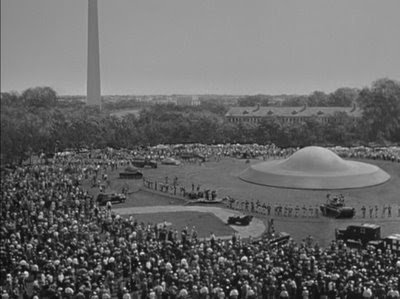 During a day trip with nine-year-old Bobby (Billy Gray), Klaatu visits Arlington National Cemetery, where Bobby’s father rests, along with thousands of others. Then they observe the saucer, which has been turned into a tourist attraction. Most damningly, they read the inscription on the Lincoln Memorial, leading Klaatu to lament that no such man exists today. Humans, apparently, cannot learn from even their own great examples. 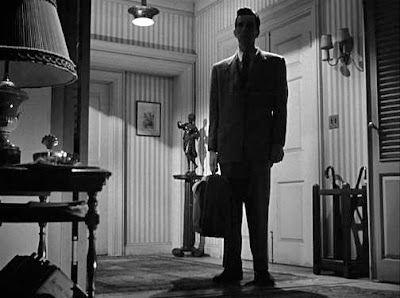 Everything Klaatu sees elicits another, regretful, shake of the head. But how awful are things, really? Between its progressive politics and dedication to portray the bad and the good of mid-century America, The Day the Earth Stood Still seems to combat its own hero, at least in spirit. Modern viewers will hear no pro-American, pro-capitalist (or even pro-socialist) sloganeering, except from the mouths of idiots. War’s portrayed not only as tragic, but asinine. While minorities are rarely on-screen, and mostly portrayed in service roles, the climactic scene, in which the world’s greatest scientific minds gather before the saucer, includes—prominently—many men and women of colour. Then there’s Helen Benson, Bobby’s mom: she’s a war widow, she works, and she’s in no hurry to get married. Helen’s far from a shrinking violet, not that Patricia Neal could have played one if she tried. The movie is still a product of its time. Between Bobby’s ‘golly gee’s’ and the notable lack of locked doors (even at night), The Day the Earth Stood Still almost demands parody. But you can’t laugh at it without feeling a little bitter. If we question Helen’s choice to let Rennie’s ‘Mr. Carpenter’ watch Bobby for the day, despite having only just met him, isn’t it because we’d feel unsafe doing that today? And, had we the option of living in a world where ‘child molester’ wasn’t a default assumption, wouldn’t we choose it, assuming our trust was justified? No one would rather live in the 1950s than today—except, maybe a few white males—but it wasn’t hell for everyone who had to. Not in this film, anyway. Klaatu’s planet has ‘a system, and it works.’ And his people now consider it threatened by humanity’s burgeoning Nuclear Age. The existence of the Bomb, soon to be applied to rockets that could, in theory, exit the Earth’s atmosphere, creates an intolerable disturbance. At least, if human leaders cannot be counted upon to act wisely. Ours is a collection of immature societies, and if we cannot grow up, strict measures will have to be taken. Not by Klaatu, though. Starting now, humanity’s aggression will be regulated in the same way that Klaatu’s is: by force. 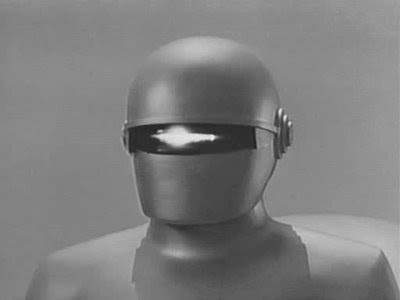 As Klaatu explains, his people are able to direct their energy toward science, art and other worthy pursuits because they are so vigorously policed by robots like Gort. Indestructible, incorruptible, and impervious to pleas, the Gort robots patrol the stars in saucers like this one, eliminating any source of chaos. Ferocity of response matches level of threat. “The penalty for provoking their action,” he says, “is too terrible to risk.” It’s simple, and it works. We might wonder about a policeman who distinguishes between a soldier and the soldier’s gun only in terms of their capacity to threaten. Klaatu isn’t so concerned, because Gort was built by people like him; that is, the very beings Gort oversees. But it doesn’t seem like they can stop him once he’s on the job. And so I always finish The Day the Earth Stood Still wondering how wise Klaatu really is. Did his people solve any of their problems, or did they just cede all their discipline to a bunch of machines? Is humanity’s mish-mash of ideologies—by comparison so inelegant and imprecise—actually any worse? Klaatu’s only message, spoken so gracefully, is that greater force trumps lesser force. However, should the day come when Gort makes a mistake, no one will be smiling. And no one, anywhere, will know what to do. Very insightful analysis and gave me a lot to think about. And great writing skills, too! Read the orginal stort story and the truth of Gort and Klaatu is there! !